Living in a condo for the last several years means there was never enough room to put up a Christmas tree. I FINALLY have room to put up a tree this year! Yippee! I hope you enjoy these tidbits from our humble home! Thank you Lisa for allowing me to share with all your readers! The burlap bunting garland around my tree (above) was a DIY project. I prefer the burlap material over the traditional glitzy tinsel options as I found that it really tied in the colour of the floor and my dining table. 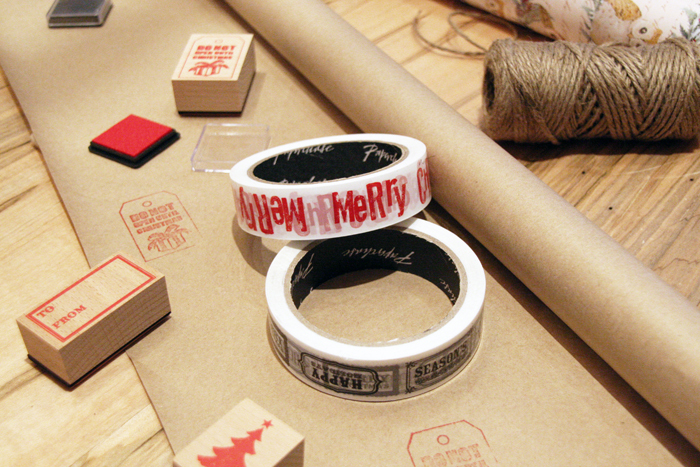 I love creating personalized wrapping paper from stamps and kraft paper. 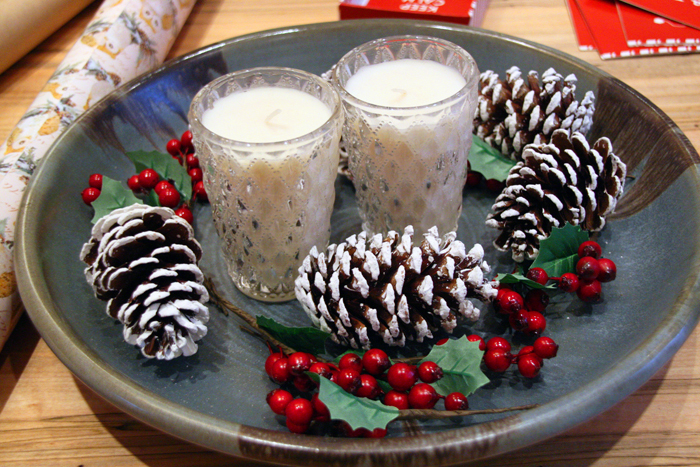 Try dipping regular pine cones in white paint to add a frosted look! I opted for a non-traditional wreath for the indoors, I picked one that had colours of gold and sparkle to match the gold trim around my mirror. 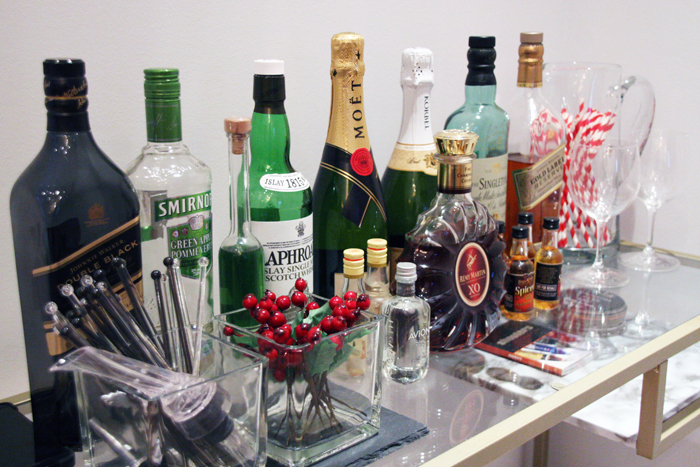 Nothing speaks festive season than a well-stocked bar cart! My version was a DIY Ikea hack. I like switching up the small details, i.e. red and white striped straws and a vase of berries to accommodate the appropriate holiday. During Halloween, I had orange striped straws and spooky skull shot glasses. 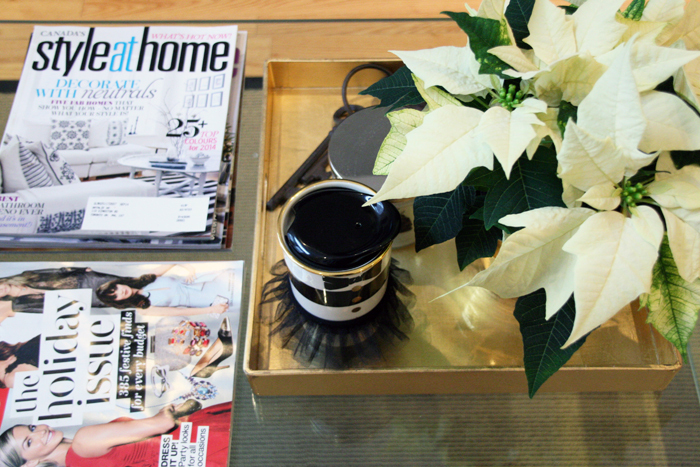 A festive tray can help organize items on your coffee table. For the holiday season, I added a potted plant of light coloured poinsettia. 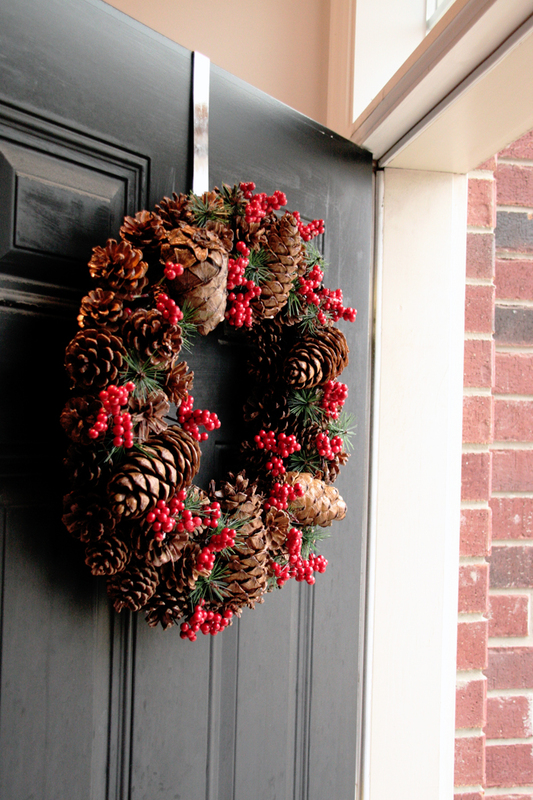 For the exterior door, I decided to choose a wreath that is sturdier in weight. I was so ecstatic to find this beauty.Thank you so much for stopping by and having a look into our holiday home! 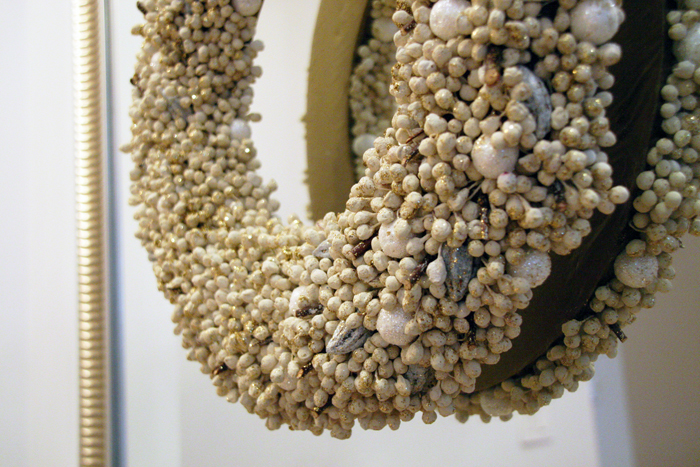 Be sure to check out Lisa’s blog –This Beautiful Day! 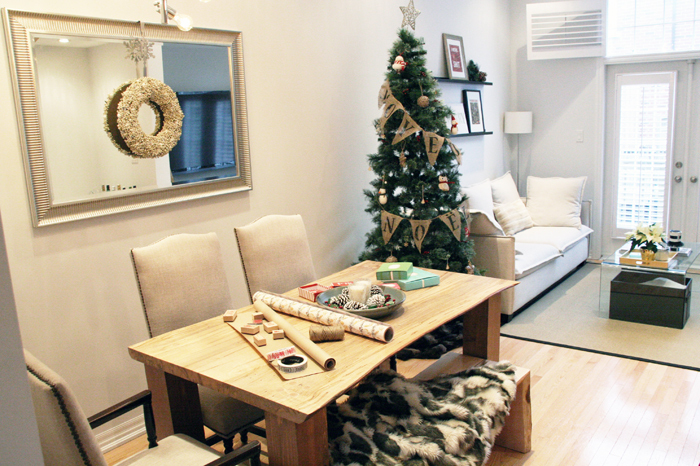 Have you started your home decorations for this holiday season? If so, what are some of your must haves? Your place is looking great! Can’t wait to see more home DIYs! Wow so gorgeous Natalie what a fantastic job!